Good tunes, fascinating visuals and a fantastic settings for a concert! This is basically a story about everyday life in Pink Floyd, about playing a concert in Pompeii and about nothing at all. The documentary consists of handful of live recordings and some studio recordings which are all of a quite good quality, and in between them are a series of interviews. Here the director is struggling to interview a highly defiant band and having a hard time getting a straight answer from them. Roger Waters is particularly provocative as always. The topics discussed are money, use of electronic equipment and conflicts within in the band. The first topic is hard to pin a conclusion on. They talk about not caring about money because they either very rich, of noble breed or just does not care about them. I think the latter is the actual opinion of the band, though as I recall it money had something to do with the final split up. The second topic about use of electronic equipment takes up a lot of focus. Waters is very particular about pointing out that it is them using the equipment and not the other way around. In the way they use it, I very much agree with them. For today’s music where you can have equipment making you sing, drum and dance at the same time, it is a bit different. On the other hand in my personal opinion I prefer the more traditional music using “regular instruments” for Pink Floyd music. The last topic became quite relevant some 10-15 years later when the band split up, but here you can sort of already sense a certain tension between them - especially Gilmour and Waters. They all have different ways of solving conflicts - e.g. Waters just pretends they are not there and Mason uses humor. It is fun (and a bit sad) to watch them discuss this, when you know what happened to them later. The visual effects must have been seriously bleeding edge technology back when they made it. The computer animations of the city of Pompeii looks very raw and unfinished with modern eyes, but back in 1972 people must have been awestruck! The renditions of space and space travel is also very fascinating. The setting in Pompeii is beyond compare. It is one of the most brilliant places to host a Pink Floyd concert in my opinion. I would have payed a good sum of money for a ticket to that concert, had I been alive back then, but that would actually not have done any good. The condition for allowing a Pink Floyd in Pompeii was that they were not allowed to bring any audience. Therefore the only ones to have actually heard the concert live is the sound crew and the camera crew, and I guess the “only” commercial product from the concert is this documentary. Impressive! I really enjoy Pink Floyd in general and have listened quite a lot to all their records. 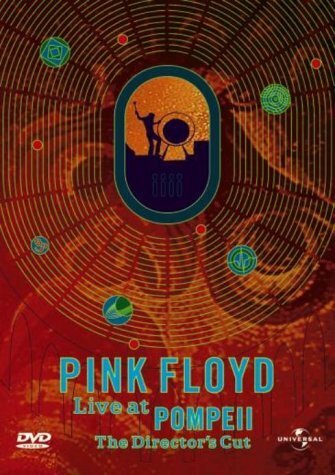 The tunes played in this documentary are from a rather experimenting period (well more than usual) for Pink Floyd, and only a few of them are on my list of favorites. However if you are in to Pink Floyd I do highly recommend this movie.